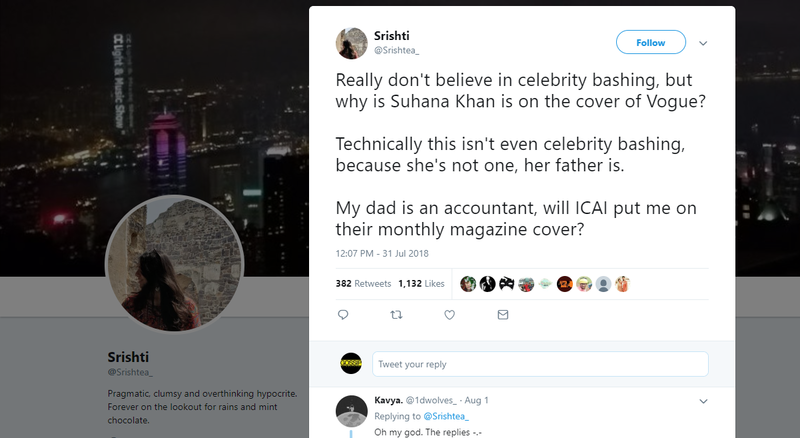 Only a few days have gone by and the internet is still upset about Suhana’s magazine cover. Why is that? Primarily, the reason is that people can’t handle the fact that these kids get a free pass. Their parents earned their way into the industry. No one knew who SRK was or who Aamir was, and they worked their butts to get to where they are. However, some of them are just jealous because stars are something they only dream to become. 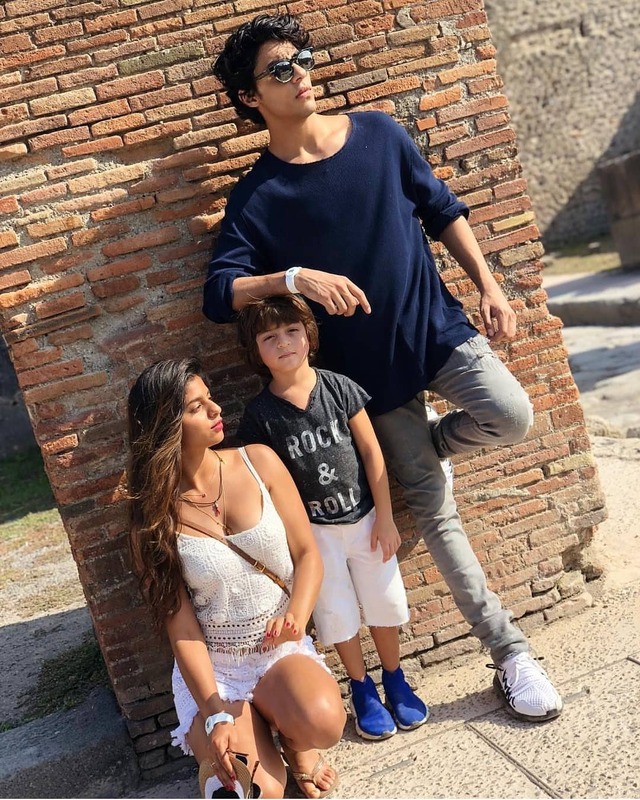 I am a struggling TV actor and I’ll tell you why people and other fellow struggling actors including me are annoyed because Suhana Khan is on the Vogue India cover. But before that, let me tell you my credibility. 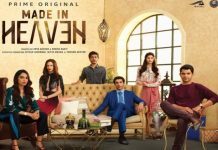 I have worked in a few episodics, 3 digital ads and a DD1 show. The problem comes in the form of social media. Everything is artificial on social media and the fear is that the next generation of superstars may be portraying that image further. Everyone was ragging on Alia after her role in Student of the Year, and now they’re doing the same thing to Suhana. It’s a terrible cycle but one that all star-kids must go through. It’s also a rite of passage for many to see how these actors react under pressure. Otherwise, we only get mediocre talent and producers don’t want to sign on other prospects. It also sends a signal to Bollywood that audiences just don’t accept anybody because of their surname. It’s a last-ditch attempt. Everyone knows that these young kids will take over Bollywood in the years to come, but we’re still not excited to see them. This is because of the whole nepotism debate. What people don’t understand is that media and film is a business. That business must be fuelled with surety and success. That’s why producers go for star kids. This is also another big reason why you’ll find that kids are being launched by their parents. 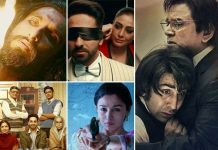 While the acting quality goes down, the money in these films goes up. There is also the question of time wasted. The whole introduction needs to be organic and not forced. E.g. when Kareena Kapoor was going to be launched in her first film, there was genuine interest. The media didn’t claim her to be the next big thing, neither did they call her the new kid on the block. 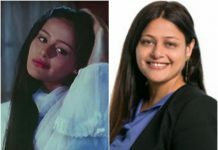 She was a stunner back then and a great actress. She won our hearts naturally. There is also a question of being accepted in the mainstream public eye. Certain roles are perfectly suited for certain actors, e.g. Neerja. But when you start forcing things down our throat, e.g. 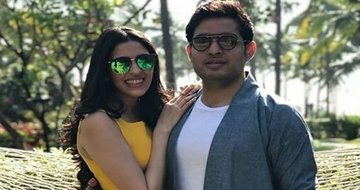 Veere Di Wedding, then audiences are going to react multi-fold. This is also just pent up frustration from seeing such terrible scripted media. Social media is ripe with audiences that are waiting for the next King/Queen to come down. There was a lot of support that was generated after the whole Kangana and Karan fiasco occurred. It’s clear that this dynamic isn’t shifting anytime soon. The whole idea is irrelevant to begin with. Suhana doesn’t care what anyone thinks. It’s just the truth. She has more followers on her social media than people who care about what haters think. The controversy will spark debate until the gamut of memes are over. The same thing happened to Alia Bhatt and it will happen with every other star kid. Star kids go through immense scrutiny to balance out whatever privilege they get. There is also the notion that Suhana hasn’t earned the right to be on the cover. While her peers have performed poorly, there are a few exceptions that have broken the mould. Right now, it’s all about Alia and Ranbeer, while the rest are just struggling to launch a stellar career. Some might even consider more established stars to be lesser than others. People even forget young actors that come and go all the time. There’s also Netflix to compete with. 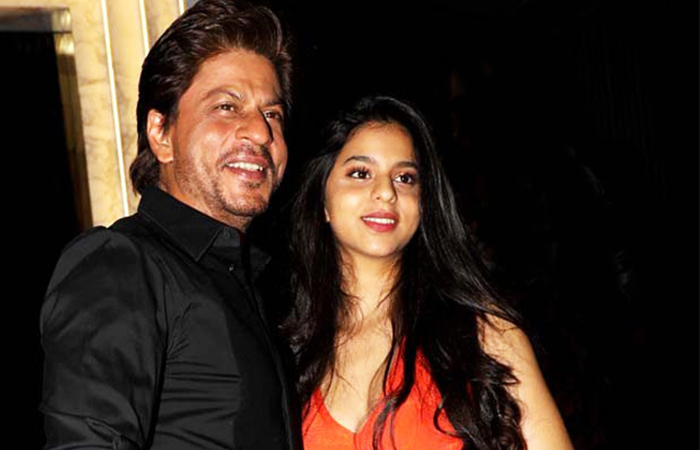 All in all, Suhana has been crowned the new “IT Girl” without being a part of our everyday lives. Alia has that charm of being an everyday girl, but Suhana hasn’t been properly introduced yet.